To bring in public awareness and reduce death from coronary artery disease in Americans, the National Heart, Lung and Blood Institute in the US launched the National Cholesterol Education Program (NCEP) in 1985. 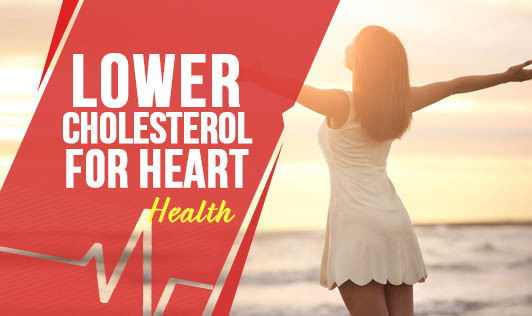 Through educational efforts, the NCEP aims to raise awareness and understanding about high blood cholesterol as a risk factor for coronary artery disease. The NCEP has two approaches. One is the clinical approach, which promotes the detection and treatment of individuals whose increased blood cholesterol places them at significantly increased risk for coronary artery disease. The second approach encourages the general public to reduce the intake of saturated fat and cholesterol, to increase physical activity and to control their weight. According to the NCEP guidelines formed some time ago, people with high risk of getting a heart attack were advised to keep their LDL cholesterol below 100 mg/dl. "As a result of research studies conducted in the last two years, the cut-off limit for LDL cholesterol in high-risk people has recently been reduced to 70 mg/dl," says Dr K.S.S. Bhat, consultant cardiologist, Manipal Heart Foundation. Those who have diabetes, symptoms of angina or coronary artery disease, or those who have had a heart attack come under the high risk category. According to Dr. Bhat, the new NCEP guidelines are applicable to Indians also because we are prone to heart disease, and cardiologists are already using this information in their practice. Lower cholesterol levels help to prevent heart attack, stroke, limb ischemia/ gangrene and other complications," adds Dr Bhat. The total cholesterol level should be less than 180 mg/dl and the HDL cholesterol should be above 40 mg/dl. Diet-wise, a low saturated fat intake (less than 7 per cent of the total fat in the diet), no or low cholesterol intake helps to bring down the cholesterol levels.